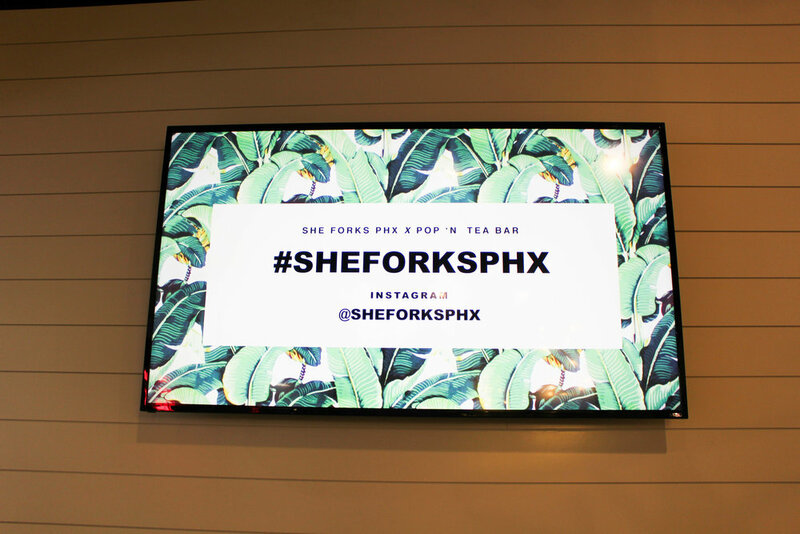 On February 20th, the She Forks PHX community came together to try out the newest, hottest boba-popsicle venue in Phoenix - Pop 'N Tea Bar. Graced with boba samples, the community tried The Sun Devil Sweet Tea, Matcha Tea, and Malibu Most Wanted. 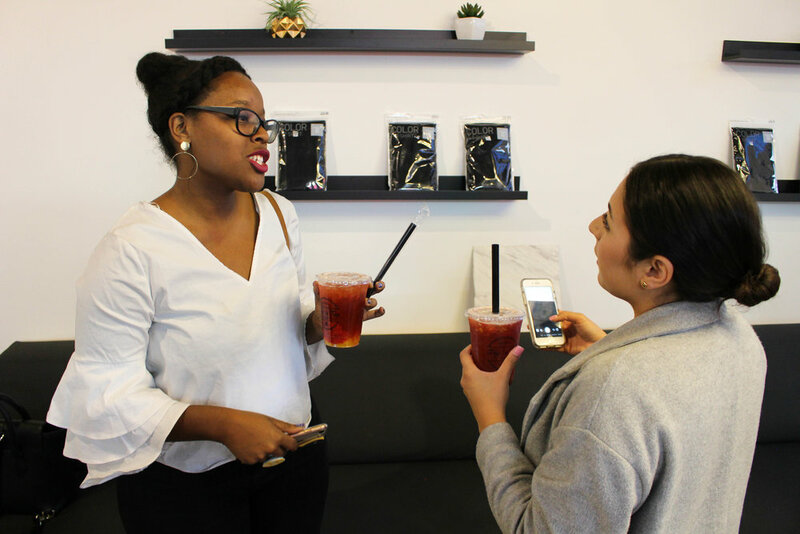 Everything was a fan favorite, from the Sun Devil's black tea with real bits of strawberry and peach, to the Malibu's Coconut and Pineapple slush that tasted like sweet bliss on a summer day- to the classic Matcha Tea whose simplicity made it timeless. Each sip created a photographic moment, as the drinks were beautiful! The owners, Matt, Benson, and Eric, three friends reigning from California, talked about how the teas were locally sourced and on tap to be the freshest you could have, and how their signature diamond popsicles were not ordinary popsicles but gelato popsicles topped with all types of toppings. 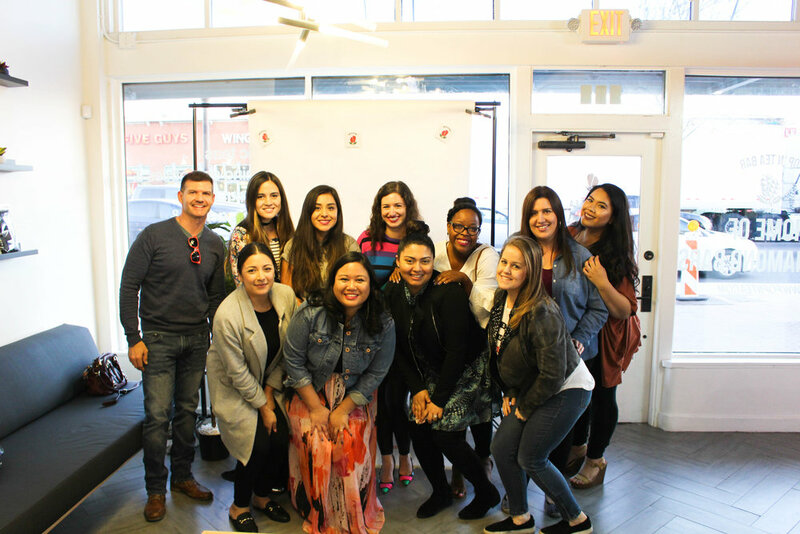 Sustainable Rainbow also spoke about her own journey with Food and Art and how you could find it in the ordinary moments of everyday life, and how you could seek to create them. We topped off the night by topping each of our own custom diamond bars - I personally had a pistachio bar dipped in white chocolate, drizzled with dark chocolate and topped with sprinkles - absolutely divine. Cheers to a wonderful venue, a wonderful staff, and a wonderful night!